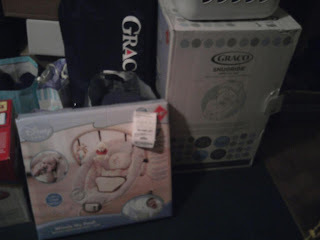 These are the other good stuff I've got from my baby shower 2 months ago. Never got the chance to showed the whole gift because I want to make sure that I elaborate it clearly without mixing any. Want to prioritized and give thanks to those people who share their blessings to me for my baby boy. So glad and happy because I don't need to buy the whole stuff for baby's need. Thanks for my wonderful in laws who contributed and my amazing friends who never fails to be there for me. mine is missing here sis huhuhu. i hope u have a successful baptism day. and am i right he is gonna get it in the catholic church, too?